Not really that much of a fan of this episode, but I do love this line and how it’s being said. The quote is not bad, still I think the “Of course with grease!” sentence felt joke expository: it was obvious that Homer was being sarcastic. Well, that’s the kind of exposition I still ‘could’ tough. It’s not like he said: “Of course with grease! 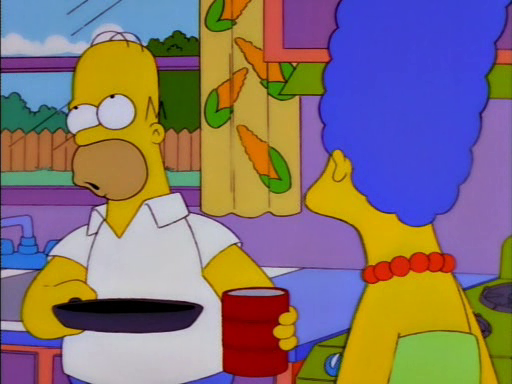 See, I’m pouring the frying pan grease into a can, Marge. See the can, Marge? Duuuuh!” which would be very ZS like.